상파울루의 좋은 곳에 위치한 Golden Tulip Sao Paulo Jardins은 파울리스타 거리와 이비라뿌에라 공원 인근의 자르댕스 지구(Jardins district)에 있습니다. 가성비가 뛰어난 객실을 보유하고 있으며, 친절하고 편리한 서비스를 제공합니다. 넓고 현대적인 객실은 완비된 욕실과 이 지역의 전경을 조망할 수 있는 발코니를 갖추고 있습니다. Contemporaneo Restaurant에서 매일 풍성한 구성의 조식 뷔페, 점심 및 저녁 식사를 제공하며, 로비 바에서 음료도 즐기실 수 있습니다. 상파울루의 안전한 지역에 위치한 Golden Tulip Sao Paulo Jardins은 쇼핑가, 식당가 및 레스토랑이 밀집한 곳과 가깝습니다. 도보로 오갈 수 있는 거리에 7월 9일 거리(9 de Julho Avenue)와 오스카 프레이레 거리가 있으며, 이비라뿌에라 공원까지는 차로 5분이 걸립니다. 유아용 침대와 엑스트라 베드는 사전 요청 시 가능한 경우에 한해 이용하실 수 있습니다. 숙소에서 추가 요금으로 고속 인터넷을 이용하실 수 있습니다. 브라질 연방법 8.069/1990에 의거하여 18세 미만의 미성년자는 부모 혹은 지정된 보호자와 동반 시에만 이 호텔에 체크인할 수 있습니다. 미성년자가 부모 이외의 성인과 동반하는 경우 체크인 시 호텔에 서면 동의서를 제출해야 합니다. 이 동의서는 양쪽 부모의 서명을 받은 후 공증 절차를 거쳐야 하며, 공증 받은 부모의 신분증 사본도 함께 제출해야 합니다. 18세 미만의 모든 미성년자는 본인과 부모님의 신분을 증명할 수 있도록 사진이 부착된 유효한 신분증을 반드시 제시하셔야 합니다. 부모가 미성년자를 동반하는 경우에도 해당 사항이 동일하게 적용됩니다. 부모 중 한 분만 미성년 자녀와 동반하는 경우 다른 한 부모가 서명하고 공증 받은 서면 승인서와 공증 받은 부모의 신분증 사본을 함께 제시하셔야 합니다. Nice hotel but decor is a little dated. Decent value for money, considering the general level of prices in the city of Sao Paulo. Close to St. Etienne, my favorite bakery in Sao Paulo, and other good places for food. Convenient access to Paulista Avenue and the SP transit system. good area. not too big. the staff were friendly, and rooms are large and clean. Room is nice, Service is friendly. Reception is really helpful. In Sao Paulo you try to stay close to your office. Otherwise you will spend half of your business trip in a taxi. But what will you do when you have to be almost everywhere in the city and several appointment in different areas? In this case this hotel offers you a great location. Supermarkets (carrefour) ten minutes walking distance. The area is considered "safe" - and if you have been more often in Brazil you know what I mean. Many restaurants near by (a very good argentinean steak house). Breakfast is excellent!And the staff at this hotel is really helpful. I really like this hotel! Very friendly staff, always with someone at the front desk who could speak English. Buffet Breakfast was good; lots of fruit. Pool area was pleasant. Taxis were always there. Good healthy walk to Ave Paulista. Nice rooms, quiet. 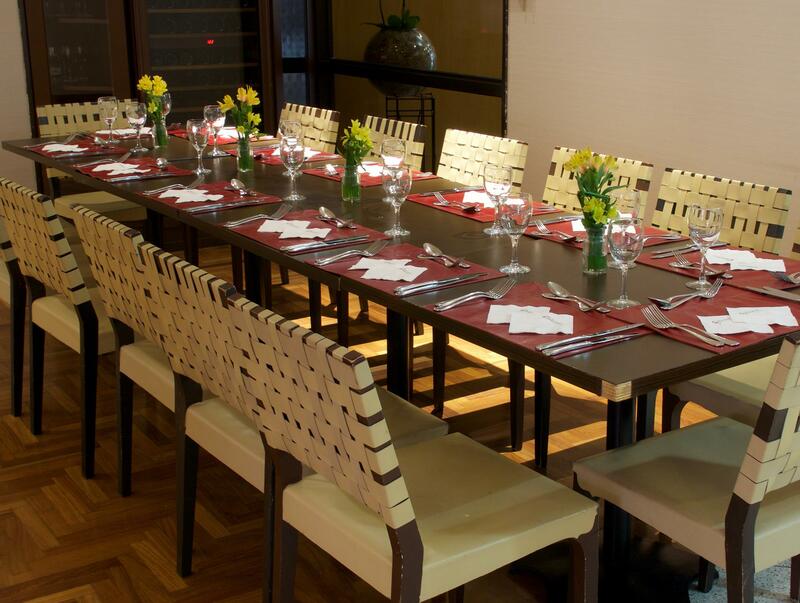 Anyone travelling to Sao Paulo for business or pleasure should enjoy their stay at the Golden Tulip Park Plaza. I, a male colleague, and my teenage son were guests there for one week at the hotel, and from the first day we were always greeted by the friendly staff; I felt at home right away. It is comfortable, clean and bright with live easy listening music provided some evenings in the lobby restaurant/pub. There is something for everyone, with a nice pool area at the hotel, many bars, restaurants and shops nearby, and the magnificant Ibirapuera Park only a pleasant 20 minute stroll from the Hotel. Muito bom hotel bem localizado próximo a inúmeros restaurantes. Quarto e banheiro antigos. Café da manhã poderia ser melhor. Liguei p/ o hotel as 17:30 e avisei que faria o check in somente a noite. Quando cheguei no hotel por volta das 23:30 a reserva estava cancelada ! Por sorte ainda havia um quarto disponível, mas não na configuração que havia sido feita a reserva. O quarto e o banheiro pedem uma reforma.